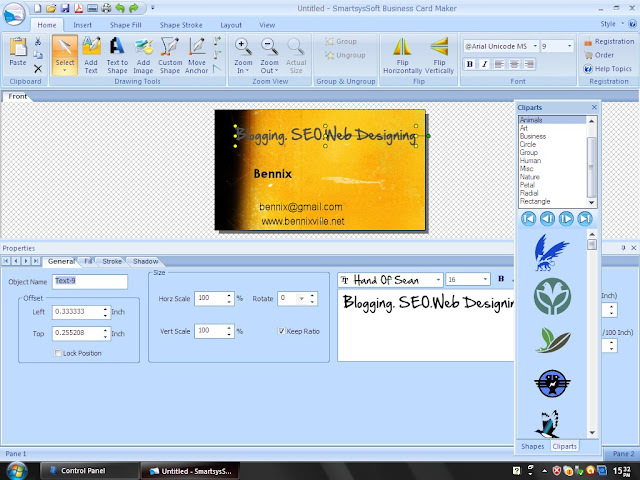 Do you want to create a personalized business card in a minute? Here’s cool with SmartsysSoft Business Card Maker you will be able to create an elegant and professional-theme business card without the use of Photoshop or other complicated graphics tool. 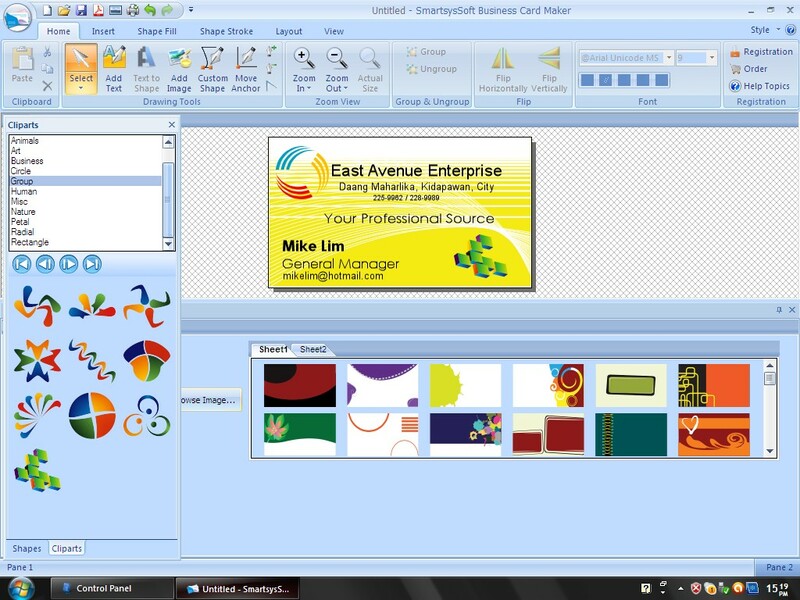 This software provides pre-made business card templates with creative backgrounds, drag & drop designing and beautiful cliparts that you’ll never find with MS Publisher. The Cliparts are categorized from Abstract, Animals, Humans, Art figures & to Business shapes where you can conceptualize your business logo as well. 2.After successfully installed open Business Card Maker, the screen will prompt you to choose any of the pre-made templates or you can create your own from scratch by checking the New Blank Card and define the dimension. 3. 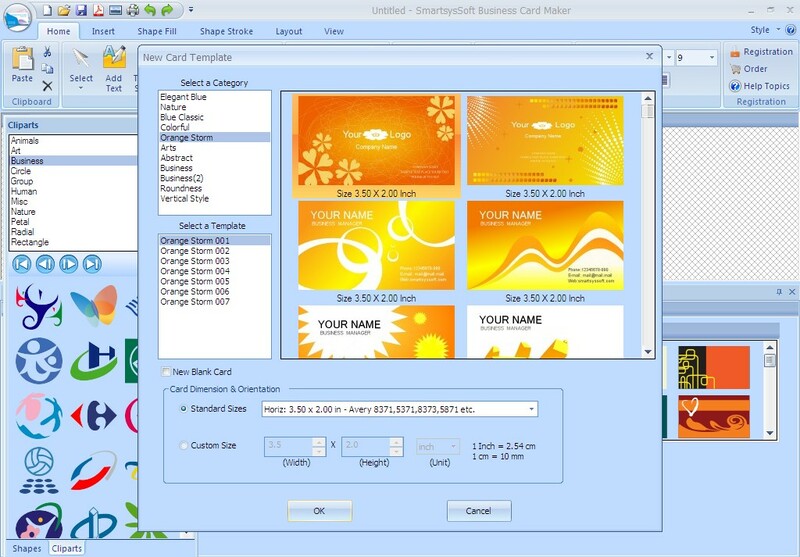 Now, start customizing your business card. You can import an image as your background or choose from the available options below. Click the add text to your names and personal details. You can change your font-type, color, text position or add shadow effects as you wish. 4. To add Cliparts, in the left, just choose and click or drag it to your design. 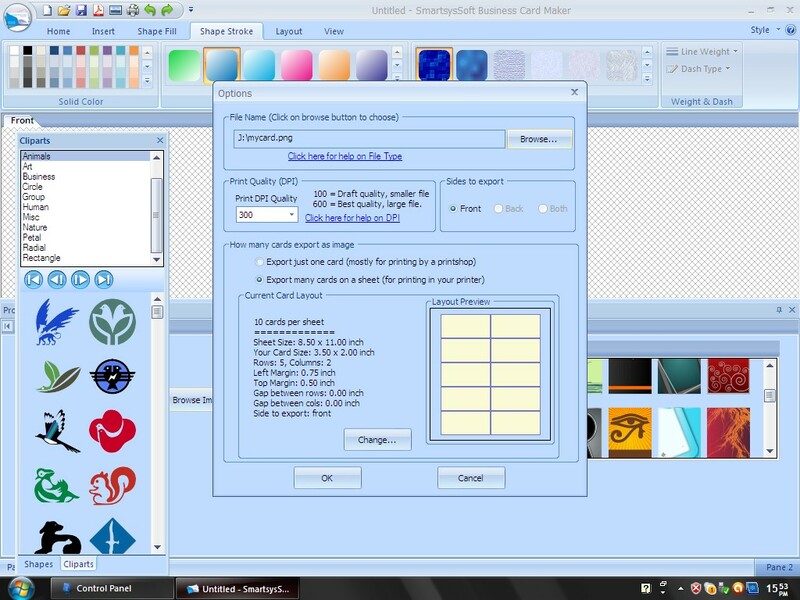 You can resize, rotate or fill different color to the clipart. 5. You can draw shapes or insert lines, rectangle, circle or a star with gradient effects and strokes. Plus you can add beautiful patterns to your objects. For example, you like to you the oval shape to have a skin like orange so you will just draw the shape then, go to Shape Fill tab and choose the patterns you want, as easy as that. Pros: Elegant and unique pre-made templates, more cool cliparts and WYSWYG interface. Layering type designing but so user-friendly. Fast to load, save, and print. Cons: Limited to customize vectors, can’t edit images and the software is not free at all.